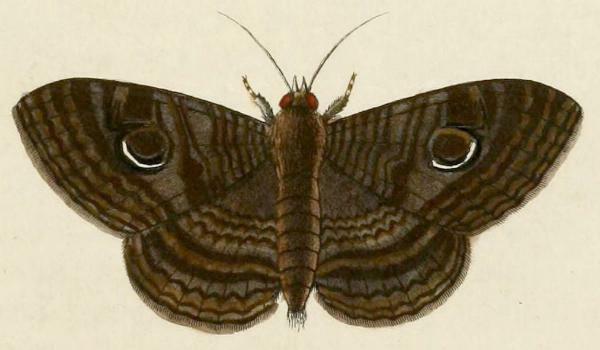 The adult moths of this species are blue and brown, with an eye-spot on each forewing. 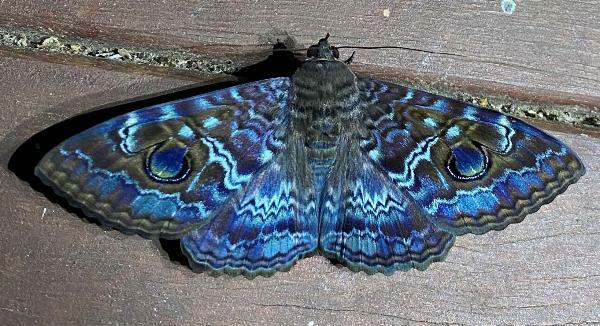 In dead specimens, the blue fades to brown. The wingspan is about 5 cms. The females have a pale scalloped submarginal band on each wing, and their last two abdominal segments are red. Moths of Australia, Melbourne University Press, 1990, pp. 71, 454. Amsterdam Baalde, Volume 3 (1782), p. 146, and also Plate 274, fig. B..